According to 247sports.com the Bearcats currently have the 67th ranked football recruiting class in the country, and the 2nd best class in the American (behind USF). Alternatively, Rivals.com has ranked UC’s recruiting class as the best in the AAC. While the nation waits for 5-star defensive end CeCe Jefferson (pictured above with high school teammate, friend, and current UC running back Mike Boone) to pick his destination, the Bearcats’ 2015 class packs a punch with one 4-star player, and as many as 17 3-star players depending on the recruiting service you rely upon. The prize of this year’s class so far is 6’ 3” 200 lb. 4-star pro-style quarterback Ross Trail out of Wynne, Arkansas. He chose the Bearcats over scholarship offers from Louisville, Memphis, Arkansas State, and Southern Miss. His choice in UC is somewhat surprising because his father Rusty was a standout QB for Memphis years ago. Trail is the #18 quarterback in his class, and we think he will have plenty of Wynnes (see what I did there?) under his belt here in Clifton after he learns the ropes from Gunner Kiel. The 2015 recruiting class has 6 Ohio players, including Moeller High School tight end Doug Bates. In typical Tuberville fashion, UC signed 3 JUCO players and several prep school recruits. 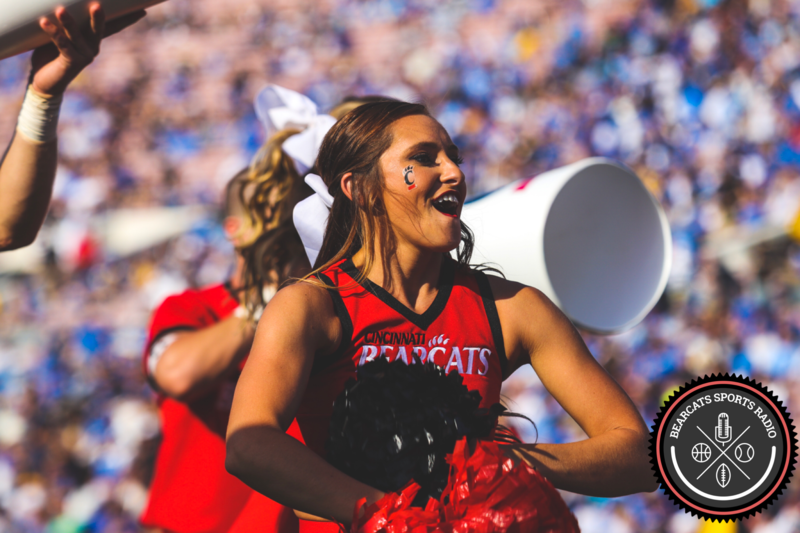 Like you, Bearcats Sports Radio cannot wait to open the football season at the newly-renovated Nippert Stadium!